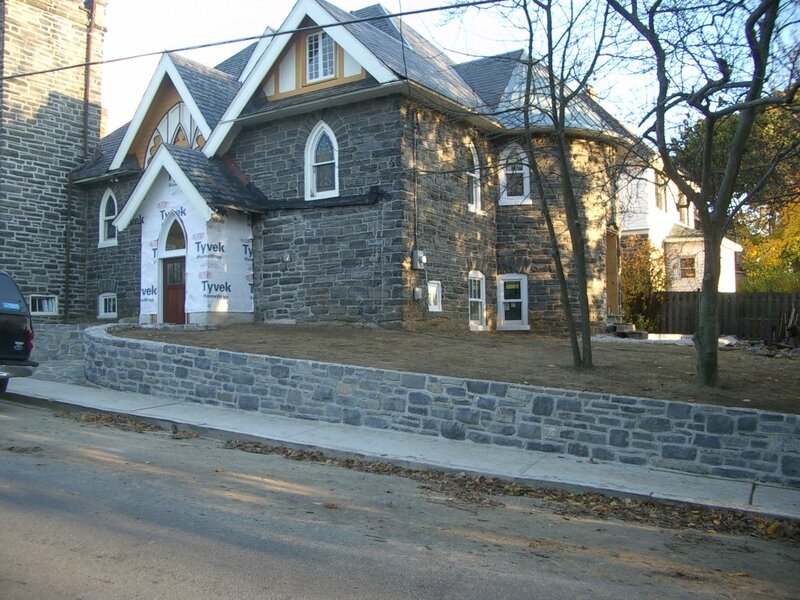 February 10th, 2010 by KTU | Filed under Exterior Masonry. 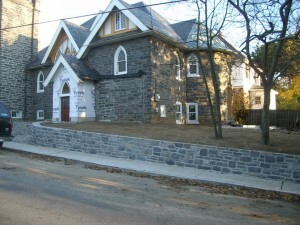 Here are various shots of the exterior masonry work on the Church house. 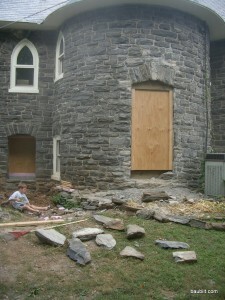 We added a door out through the middle of the apse at the stair landing, which came out great. 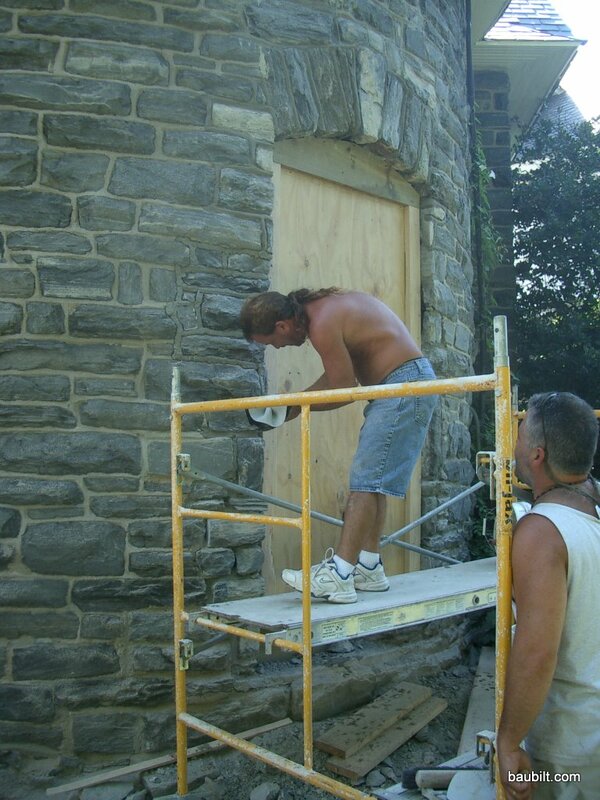 We also did various patching of holes from relocated windows and doors. 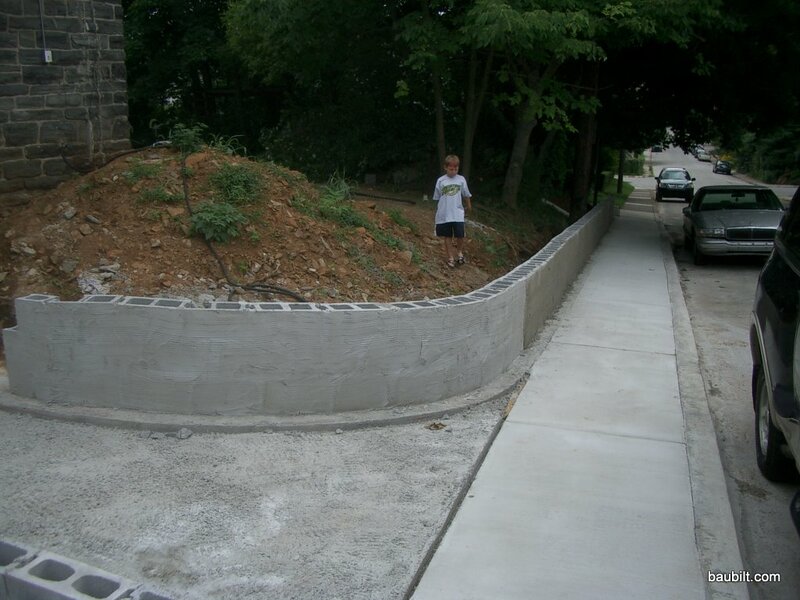 A big part of the job was putting in 100 linear feet or so of new stone retaining wall. This substantially improved the look and function of the back yard. Third-generation mason Heath creating a new door out the back of the apse. You can't tell it wasn't there originally. New rear door opening completed. After the Pipe shark replaced the sewer line, the masons poured a new sidewalk. 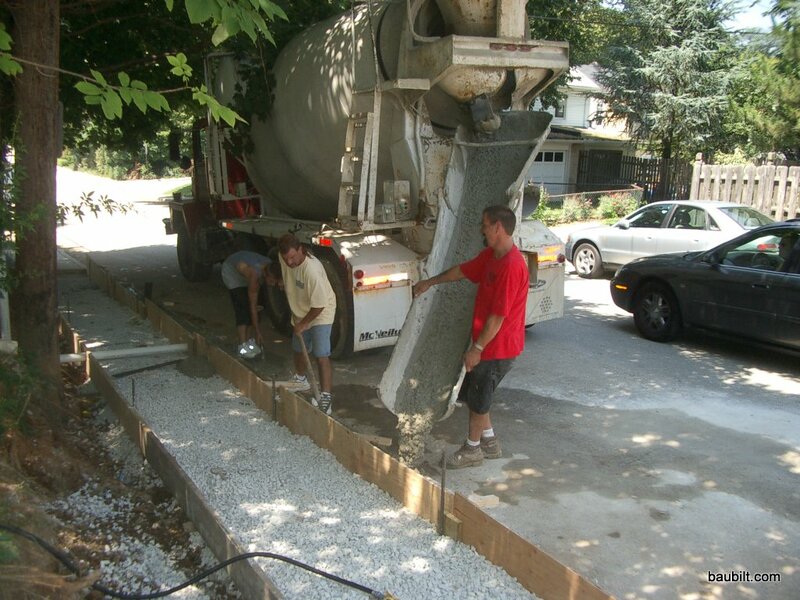 Compared to everything else, sidewalks are really cheap. 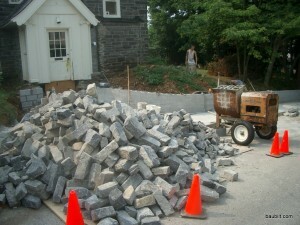 The block wall ready for the stone facing to be applied. 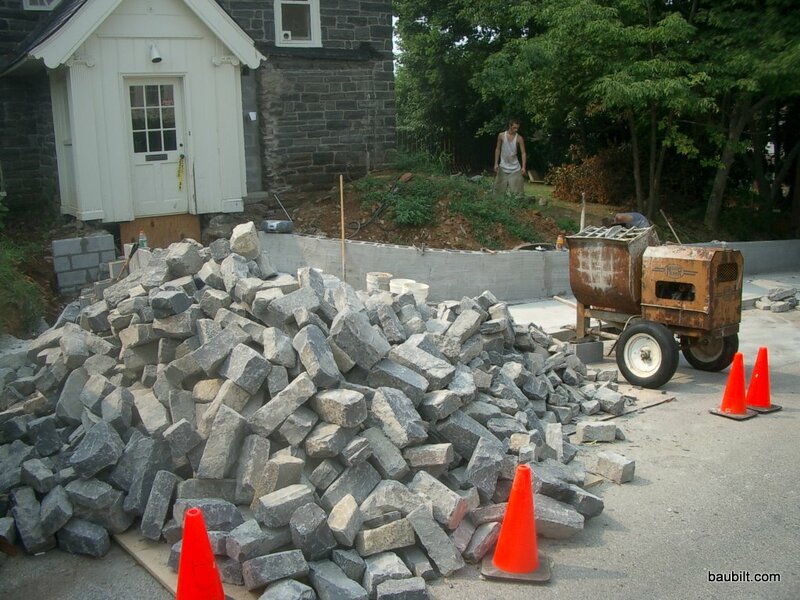 17 tons of stone. This stone was applied as a single layer to the outside of the wall laid out with cement block and shown in the background.